As every business owner knows, a customer’s first impression needs to be a good impression if you want any hope of sealing a deal. Whether you own a hotel, a restaurant, or even a dental or chiropractic office with a carpeted lobby, you certainly want to make sure that the carpeting when your customer first walks in the door is CLEAN! That will be a constant battle with customers, clients and patrons regularly walking in with their shoes on, bringing right with them whatever bits and pieces of nature happen to be stuck to their boots and shoes. Dirt, mud, wet leaves, pollen, mold spores and other kinds of debris all make their way into your business and get deposited on your rugs on a daily basis. It is a lot of work to keep them clean. That’s where OxiGreen Carpet Cleaning and Repair in Warminster, PA can come right to your rescue! Oxigreen is a local carpet cleaning company with a great many years of professional residential and commercial carpet cleaning experience. We employ top of the line carpet cleaning machines which are truck mounted, making them some of the best in the business. The ability of our equipment to deeply and efficiently clean your carpeting is hard to rival. While most vacuums and regular carpet cleaners don’t even disturb the pollutants that are stuck deep in your carpeting, OxiGreen’s machines shoot hot water deep into the fibers to dislodge it. Then, our superior suctioning removes the vast majority of this debris right along with 98% of the water. You will be amazed at how clean, fresh, and fast drying your carpets will be! 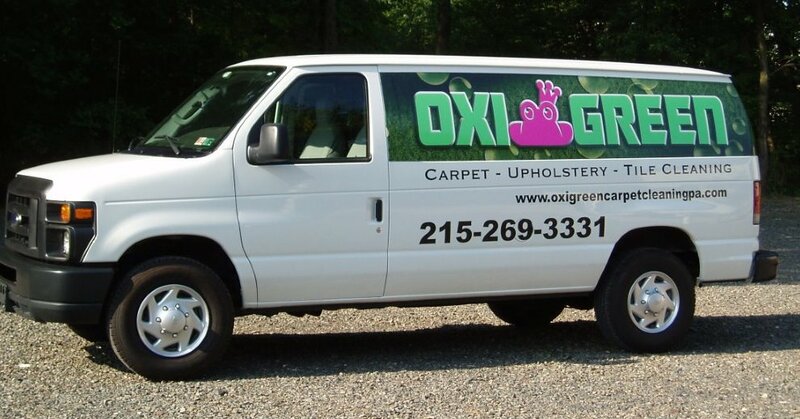 For a great commercial carpet cleaning, please call us here at OxiGreen in Warminster, PA at 215-269-3331 for a free estimate. If you are in a bind, same day appointments are available. With our 100% customer satisfaction guarantee, we know you won’t be disappointed with an OxiGreen clean!